Northeast State has been awarded a $75,000 Tennessee Promise Forward grant from the Tennessee Higher Education Commission (THEC). The program is designed to focus on success and retention of Tennessee Promise students. The grant is part of $522,638 awarded by THEC to seven community colleges across the state. Other colleges receiving funding included Chattanooga State, Cleveland State, Columbia State, Dyersburg State, Pellissippi State, and Volunteer State. Northeast State’s program, entitled Keeping Our Promise: Access, Completion, and Community, will focus on a peer mentoring program and development of a mobile application specific to the College and the Tennessee Promise program. The mentoring program will seek and train student leaders from campus to act as near peer mentors to incoming Tennessee Promise students. The mobile app will support the mentor-mentee relationship by providing a method for communication and information between students. In general, the programs funded through Tennessee Promise Forward will support student retention through increased student engagement and advising. Many of the funded programs plan to engage students using mobile technology, such as texting and mobile apps, to connect students to advisors and other college resources. Other institutions are developing near-peer advising and mentor programs to assist students with academic and financial aid requirements. To apply for funding, institutions were required to formally partner with their local Tennessee Promise partnering organization in support of the program. The Tennessee Higher Education Commission was created in 1967 by the Tennessee General Assembly. The Commission coordinates two systems of higher education, the University of Tennessee institutions governed by the University of Tennessee Board of Trustees, and the state universities, community colleges, and technology centers governed by the Tennessee Board of Regents. There are nine public universities, two special purpose institutes, 13 community colleges, and 27 colleges of applied technology in Tennessee that educate nearly 250,000 students. Hot Nights, Cool Music series returns! 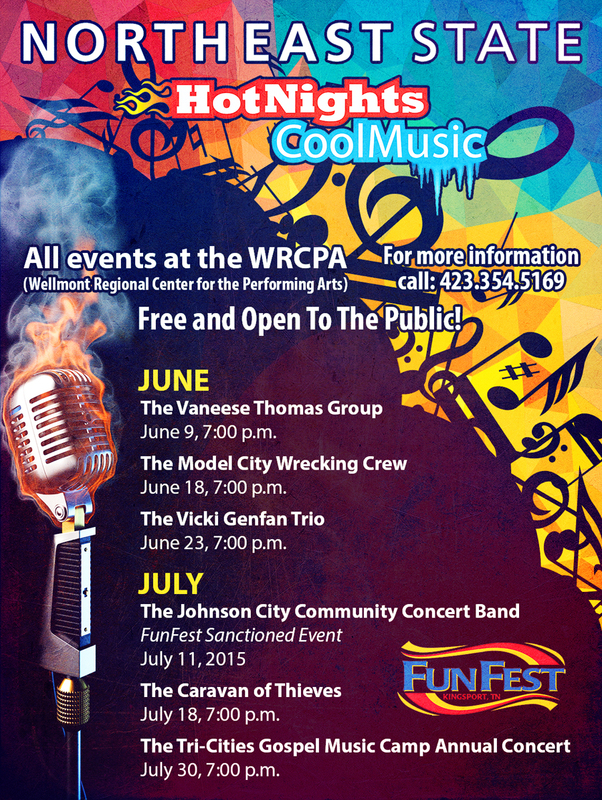 Summer is coming and what better way to spend a few warm evenings than enjoying Northeast State’s “Hot Nights, Cool Music” summer concert series. The series begins in June with local, regional, and nationally known musical artists taking the stage at the College’s Blountville campus. All shows are free and open to the public. All performances scheduled to begin at 7:00 p.m. in the Wellmont Regional Center for the Performing Arts Theater on the College’s Blountville campus, 2425 Highway 75, next to Tri-Cities Regional Airport. The concert series features diverse shows from opera to folk to big bad performances. The Vaneese Thomas Group, June 9 – Vaneese carries the rich heritage of Memphis soul and R&B, a music that has touched generations and crossed divides. At the same time she has combined all the influences of her background and experience ¬ R&B, gospel, blues, and jazz – to cultivate a soul-stirring style that’s all her own. She has worked with an astonishing array of performers including Luciano Pavarotti, Sting, Stevie Wonder, Michael Jackson, Celine Dion, Eric Clapton, and others. The Model City Wrecking Crew, June 18 – The Model City Wrecking Crew is a five-piece band from Kingsport, performing classic rock music. The Crew performs material from artists including Creedence Clearwater Revival, Eric Clapton, The Eagles, James Taylor, The Rolling Stones, Steely Dan, The Steve Miller Band, REM, and The Atlanta Rhythm Section among others. The Vicki Genfan Trio, June 23 – Drawing from folk, jazz, pop, soul and world music, Vicki is redefining ‘singer/songwriter culture.’ With a mastery of the acoustic guitar that borders on pure alchemy, audiences are mesmerized by the waves of sound Vicki creates with just two hands and her voice. Using 29 alternate tunings and the percussive technique she calls ‘slap-tap’, Genfan’s pure, expressive vocals dig deep and stir the heart to be the perfect accompaniment on many of her songs. The Johnson City Community Band, July 11 – The band is made up of approximately 60 members and associate members who have a diverse background in music. While lineups have changed over the years, one thing has stayed the same – the band has grown and improved each year in the quality of members and quality of performances. This show is also a Kingsport FunFest sanctioned event. Caravan of Thieves, July 18 – Driving gypsy jazz rhythms, acoustic guitars, upright bass and violin lay the foundation for the band’s mesmerizing vocal harmonies and fantastic stories. Caravan of Thieves are musical and intense. They entertain, dazzle and defy musical classification while welcoming the spectator to join the band throughout the performance in momentary fits of claps, snaps and singalongs. Tri-Cities Gospel Music Camp Annual Concert, July 30 – Fans of the style, as well as newcomers to the method, will be treated to a concert and workshop by singers from Kingsport’s Tri-City Gospel Music Camp. Shaped-notes allow for a simplified way to read music. Based on geometric shapes like squares, ovals, diamonds, and triangles – the distinctive shapes of the notes instantly tell what pitch to sing. For more information about the summer concerts visit www.northeaststate.edu or contact 423.279.7669. The Workforce Solutions department at Northeast State will present an official OSHA 30-hour General Industry course on safety and healthy work practices June 16-19. The course is ideal for any professional responsible for employee on-the-job safety and health work practices. This course provides successful participants with four days of information on current topics in occupational safety and health as enforced by the U.S. and Tennessee Occupational Safety and Health Administration (OSHA). Course completion cards will be awarded from the OSHA National Training Institute to each student who successfully completes the course. The course will meet June 16-19, 2015. Course hours are: June 16, 17, and 18 from 8 a.m. – 5 p.m.; and June 19 from 8 a.m. – 3 p.m. Attendance at all four class sessions is required to receive course completion cards from TOSHA. The class will be held on the College’s Blountville campus, 2425 Highway 75. Course fee is $399 including books and all study materials. This course is offered in conjunction with Tennessee OSHA (TOSHA). Please register by June 2. For reservations, contact Diana Harrison at 423.354.5520 or dlharrison@NortheastState.edu. 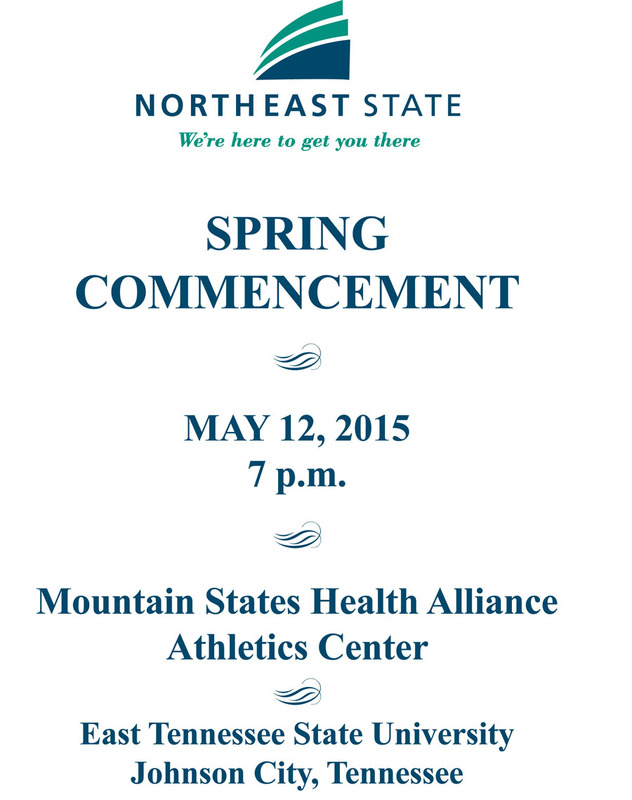 An online version of the 2015 spring commencement program can be accessed via the link below. Northeast State’s Hot Nights, Cool Music Summer Concert Series opens tonight when the University of Virginia’s College at Wise and the Southwest Virginia Opera Company present the opera Hansel and Gretel on Thursday, May 14. The opera will be performed at the Wellmont Regional Center for the Performing Arts Theatre on the College’s Blountville campus next to Tri-Cities Regional Airport. The performance begins at 7:30 p.m. Theater doors open at 7:00 p.m. The concert is free and open to the public. The well-known fairy tale of German origin was first recorded by the Brothers Grimm and published in 1812. Engelbert Humperdinck’s adapted the story and composed the opera that was first performed in 1893. This fairytale opera is told in three acts by Adelheid Wette. Hansel and Gretel meet the witch. The opera opens with the siblings abandoned in the woods by their father. The two discover a large cottage built of gingerbread and cakes with window panes of sugar. The children hungry children begin to eat the rooftop of the candy house. Suddenly the door opens and an old woman emerges luring them inside with the promise of soft beds and delicious food. But her intentions become clear once she has enslaved the children and prepped her kitchen. Can Hansel and Gretel triumph over the evil witch before dinner is served? Come enjoy this frightening fable set to soaring operatic music. 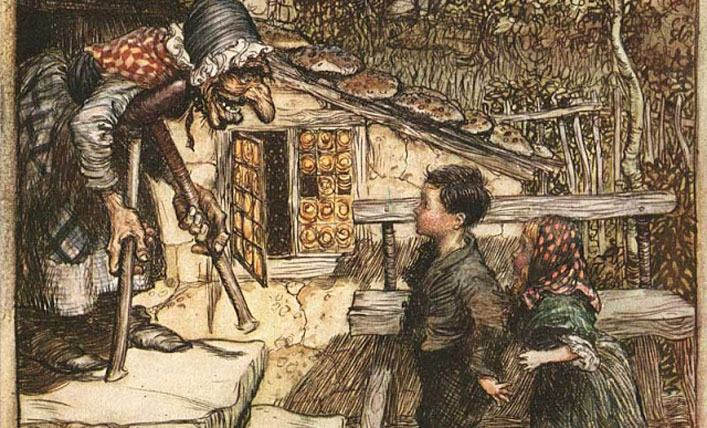 For more information about Hansel and Gretel or the Northeast State summer concert series visit www.northeaststate.edu or contact alb3he@uvawise.edu or 276.328.0256.